We should employ all our pious actions in asking for a knowledge of ourselves and contrition of our sins and we should do this in a spirit of piety. During this period, we shall consider not so much the opposition that exists between the spirit of Jesus and ours, as the miserable and humiliating state to which our sins have reduced us. Moreover, the True Devotion being an easy, short, sure and perfect way to arrive at that union with Our Lord which is Christlike perfection, we shall enter seriously upon this way, strongly convinced of our misery and helplessness. But how attain this without a knowledge of ourselves’? And he said to them, “Suppose one of you has a friend to whom he goes at midnight and says, ‘Friend, lend me three loaves of bread, for a friend of mine has arrived at my house from a journey and I have nothing to offer him’ and he says in reply from within, ‘Do not bother me; the door has already been locked and my children and I are already in bed. I cannot get up to give you anything.’ I tell you, if he does not get up to give him the loaves because of their friendship, he will get up to give him whatever he needs because of his persistence. “And I tell you, ask and you will receive, seek and you will find, knock and the door will be opened to you. For everyone who asks, receives and the one who seeks, finds and to the one who knocks, the door will be opened. Father all powerful, have mercy on us Jesus, Eternal Son of the Father, Redeemer of the world, save us. Holy Spirit, Who proceeds from the Father and the Son, enter our hearts. Holy Spirit, Who are equal to the Father and the Son, enter our hearts. Holy Spirit, come and renew the face of the earth. Holy Spirit, shed Your light in our souls. Holy Spirit, engrave Your law in our hearts Holy Spirit, inflame us with the flame of Your love. Holy Spirit, open to us the treasures of Your graces Holy Spirit, teach us to pray well. Holy Spirit, enlighten us with Your heavenly inspirations. Holy Spirit, lead us in the way of salvation Holy Spirit, grant us the only necessary knowledge. Holy Spirit, inspire in us the practice of good. Holy Spirit, grant us the merits of all virtues. Holy Spirit, be You our everlasting reward. Lamb of God, Who takes away the sins of the world, Send us Your Holy Spirit. Let Us Pray. Grant, O merciful Father, that Your Divine Spirit may enlighten, inflame and purify us, that He may penetrate us with His heavenly dew and make us fruitful in good works, through Our Lord Jesus Christ, Your Son, Who with You, in the unity of the same Spirit, lives and reigns forever and ever. Lord, have mercy on us, Christ have mercy on us. Lord, have mercy on us. Christ hear us. Christ, graciously hear us. Mother of our Creator, pray for us. Mother of our Saviour, pray for us. Virgin most venerable, pray for us. Virgin most renowned, pray for us. Mirror of justice, pray for us. Seat of wisdom, pray for us. Let Us Pray. Grant, we beseech You, O Lord God, unto us Your servants, that we may rejoice in continual health of mind and body and by the glorious intercession of Blessed Mary, ever virgin, may be delivered from present sadness, and enter into the joy of Your eternal gladness. Through Christ Our Lord. born for us thine Infant, hear our prayers through thine. Day by day, city to city, village to village, among both the poorest and those of high esteem, he saw the hunger each possessed to know that sin was forgiven, that God’s mercy was infinite and that they were loved. Countless souls found a merciful listener, the embodiment of God’s promise of peace and renewal, in Fr Gaetano, in the Confessional. “The priest, Gaetano Errico, dedicated himself to this sacrament with diligence, assiduity and patience, never refusing it nor counting the cost. He thus entered among the group of other extraordinary priests who tirelessly made the confessional a place to dispense God’s mercy, helping men to rediscover themselves, to fight against sin and make progress in the spiritual life. The street and the confessional were the two particular places of Gaetano Errico’s pastoral work. 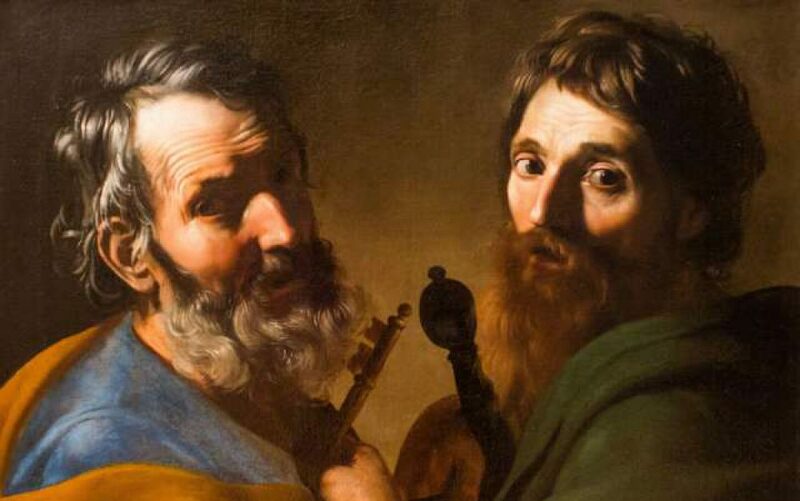 The street was the place that permitted him to offer his customary invitation: “God loves you, when shall we meet?” and in the confession he made their encounter with the mercy of the heavenly Father possible. How many wounded souls did he heal in this way! How many people did he help to be reconciled with God through the sacrament of forgiveness! He found his own encouragement on his knees in prayer . . . indeed it was prayer and the hours he spent in adoration of the Blessed Sacrament that strengthened and renewed him and kept the fire of his love for God ever burning. Let us rediscover the great grace of the Confessional and the immense joy of Eucharistic Adoration for ourselves! St Gaetano Errico, Pray for Us! REFLECTION – “The whole human race, like this woman, was bent over and bowed down to the ground. Someone already understands these enemies. He cries out against them and says to God, “They have bowed my soul down.” The devil and his angels have bowed the souls of men and women down to the ground. He has bent them forward to be intent on temporary and earthly things and has stopped them from seeking the things that are above. PRAYER – Almighty Lord and God, protect us by Your power throughout the course of this day, even as You have enabled us to begin it – do not let us turn aside to any sin but, let our every thought, word and deed aim at doing what is pleasing in Your sight. Grant we pray, that by the prayers of St Gaetano Errico, we may strive to seek only to please the Sacred Heart of Your Son and the loving Heart of His Mother. Through Jesus our Lord, Your Son, with the Holy Spirit, God forever, amen. Saint of the Day – 29 October – St Gaetano Errico (1791-1860) – Priest, Founder of the Missionaries of the Sacred Hearts of Jesus and Mary in 1836, Teacher, Confessor, Apostle of Charity, Eucharistic Adorer – born on 19 October 1791 in Secondigliano, Naples, Italy and died at 10am on 29 October 1860 in Secondigliano, Naples, Italy of natural causes. The Missionaries of the Sacred Hearts of Jesus and Mary, are a religious congregation of priests and brothers, dedicated to serving the needs of God’s family, while witnessing the great love present in the Sacred Hearts of Jesus and Mary – St Gaetano is their Patron. Gaetano Errico was born on 19 October 1791 in Secondigliano, a small village on the northern boundary of the City of Naples, Italy. He was the second of nine children born to Pasquale and Marie (Marseglia) Errico. His father managed a small pasta factory and his mother worked at the loom weaving plush. As a child he was known in the small village as a good and obedient child, who helped his father in the pasta factory and eagerly shared his parent’s deep faith. By age 14 Gaetano felt called to the priesthood and religious life. Many congregations during this time did accept young men at an earlier age than is prevalent today. However, Gaetano’s first choices, the Capuchins and the Redemptorists rejected his application because of his age. At the age of 16 he proceeded to apply for the Archdiocesan Seminary of Naples and was accepted. In January 1808, having received the habit of the Diocese, he began his studies. His family’s meagre income did not allow him to reside at the seminary. He therefore registered as a day student which required him to walk the eight kilometers to the seminary and back each day. On 23 September 1815, in the Chapel of St Restituta within the confines of the Cathedral of Naples, Gaetano was ordained to the priesthood by Cardinal Ruffo Scilla. Soon after ordination he was appointed to a position as a teacher. For the next twenty years, he taught his students with exemplary dedication. Entrusted to his care, his students received both the elements of a good education and spiritual formation. With great care and ambitious zeal, he imparted the tenets of Christian doctrine and moral values. He also served with loving commitment in pastoral service at the Parish Church of Saint Cosmas and Damian. His ministry was characterised by four principle concerns – Proclamation of the Word; Ministry of Reconciliation; material and spiritual assistance to the sick and selfless charity. Each principle held for Gaetano the way to proclaim and make known to all men and women, that in God they have a Father, who loves them. Every year, he travelled to Pagani (in Salerno), a Redemptorist house, for his annual retreat. In the year 1818 while praying, an extraordinary event occurred – an event that would change his life forever. St Alphonsus Liguori (1696-1787) appeared to him in a vision and told him that God wanted him to found a new religious congregation. Further, as a sign of this desire, he was to build a church in Secondigliano in honour of Our Lady of Sorrows. With this vision of Our Lady in his mind, Gaetano was assured that he would succeed. At first, the people of Secondigliano welcomed with joy the news that God wanted a church in honour of the Sorrowful Mother of Jesus in their little village. However, human weakness being ever apparent, some were opposed. Although their numbers were few, their jealousy and distrust made the task more difficult for Gaetano. He never lost sight of the goal, however and against all odds, the Church was built as God wanted. The Church of Our Lady of Sorrows was blessed on 9 December 1830. When the Church was nearly completed, Fr Gaetano began the construction of a house to serve as the first home of the future congregation. A small house was built and Fr Errico resided there with a lay brother who maintained the Church. From such humble beginnings, he proceeded to reach out, welcoming priests to come for retreat, hoping to inspire within their hearts a desire to commit themselves to the missions and religious life. Upon completion of the Church and house, Fr Gaetano commissioned Francesco Verzella, a famous Neapolitan sculptor, to create an image of Our Lady of Sorrows. It has been said that the sculptor had to redo the statue several times. The vision of her face of sorrow was clear in Fr Errico’s mind. Finally, the sculptor got it right and Fr Errico exclaimed, “It is so!” The statue arrived in Secondigliano in May of 1835 and from then on drew an unending number of pilgrims. 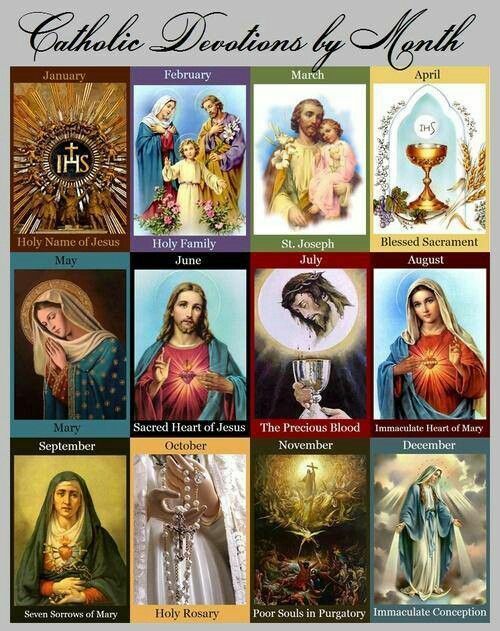 The following year, again while Fr Errico was on retreat in Pagani, God revealed to him that the new congregation to be founded must be in honour of the Sacred Hearts of Jesus and Mary. Fr Errico already possessed within himself a most abiding devotion to the Sacred Hearts. Now he became even more ardent in sharing this love through all his apostolic and missionary activity. The love of the Sacred Hearts urged him to seek sinners and bring them back to God, to give of himself tirelessly. With a burning drive within his heart, he especially searched out the most vulnerable, those in danger, the sick, the abandoned and shunned and the spiritually bereft. He wanted everyone to feel the touch of a loving father who was ever ready to forgive and slow to anger. He gained approval for the new congregation and its statutes on 14 March 1836 and in October of that year opened a novitiate with eight novices. He sought papal approval in May 1838. On 30 June the Congregation of Bishops and Regulars issued the decree. In order to strengthen his Congregation, he sought royal approval which was granted on 13 May 1840. In April 1846, he once again went to Rome to ask for final approval. The Congregation by now had grown, the number of its members had increased and new houses had been opened in southern Italy. On 7 August1846, Blessed Pius IX issued the Apostolic Brief of Approbation. Gaetano was unanimously elected Superior General. Fr Gaetano was truly a man of God, a man with a mission, a man on fire with an unquenchable love of Jesus and Mary. The first secret of his holiness was prayer. Ever on his knees, his small room in the house in Secondigliano bears the indentations on the floor where, kneeling, he found refuge and strength. Penance further sustained his holiness. He fasted continuously, often only taking bread and water in order to give his share of food to the poor. 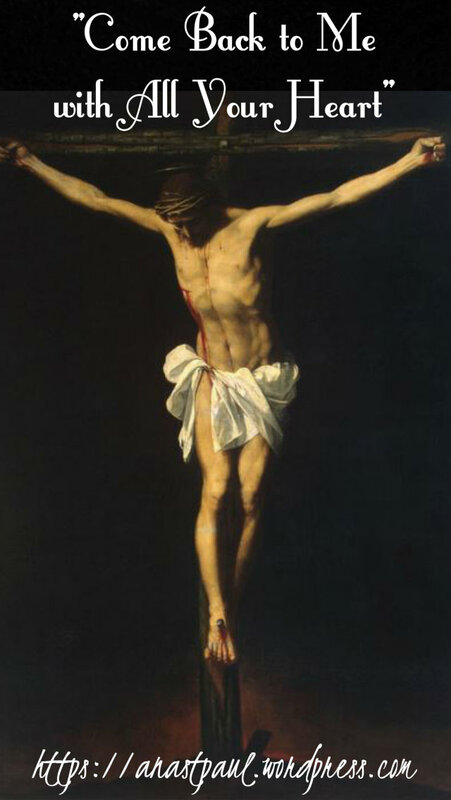 Self-flagellation was part of his penance, offered humbly for the many sins that wounded the Heart of Jesus. He was never too tired to travel on, preaching, hearing confessions, encouraging the reception of the Body and Blood of Christ. His comfort and caring presence reminded all of the love of God the Father… leading many in the small towns and villages to call him a saint. In December 1876, Pope Leo XIII declared him Venerable and Pope Paul VI declared the heroism of his virtues with an apostolic decree on 4 October 1974. St Pope John Paul II on 24 April 2001, signed the Decree of Beatification after approving a miracle attributed to the sole intercession of Ven Gaetano Errico. The process for the investigation of the miracle required for canonisation opened in Naples on 10 November 2004 and concluded its business on 10 October 2005 prior to it being validated in 2006. It received the papal approval of Pope Benedict XVI in 2007 in which he acknowledged the 2003 healing of Anna Russo. On 12 October 2008 he was proclaimed a saint by Pope Benedict XVI. Martyrs of Douai – (160 saints and beati): 160 priests, laymen and religious who studied at the English College in Douai, France, then returned to minister to covert Catholics in England during a period of government persecution of the Church, and were murdered for their work. Martyrs of Lucania – (4 saints): A group of Christians executed together for their faith. Only their names have survived – Felician, Hyacinth, Lucius and Quintus. Their martyrdom occurred in Lucania, southern Italy.